The University of Southampton has entered into a unique Knowledge Transfer Partnership (KTP) with a local school for girls with complex individual needs. The Serendipity Centre is a dynamic and innovative independent secondary school for girls aged 11-16. Established by Headteacher Sue Tinson in April 2006, the School offers a holistic approach to learning, seeking to provide a personalised and safe environment, to identify and address the challenges faced by the girls and to work towards their social and educational inclusion. A recent Ofsted Report praised the school for "exceptional progress" in removing barriers to learning and highlighted the Centre’s provision for personal, social and health education (PSHE) as a strength. The University of Southampton will now be working with the Centre to design and implement a transferable, robust holistic educational model. This model will broaden and enhance the curriculum for the girls so as to address both their educational needs and their social exclusion. The partnership cements an already excellent, creative relationship between the University and the Centre. Headteacher, Sue Tinson says: "The girls come to us with obstacles that prevent them from accessing traditional education and thus from reaching their full potential. The University of Southampton is ideally placed to provide the specialist educational expertise needed to help us develop a girl-oriented approach which maximises learning while also addressing the social exclusion issues they may face." The Partnership will be led by Professor Melanie Nind and Dr Gill Clarke, both from the School of Education at the University. Professor Nind says: "We are delighted to be working with The Serendipity Centre on this KTP. Resources in the area of exclusion have previously been directed at boys, as they are perceived to be the bigger problem but girls, making up 17 per cent of permanent exclusions and rising, require a response that takes into account their gender and experiences. The educational model that we will work with the centre to develop, will be critically informed by research evidence, both on gender and on inclusive curricula, and will contribute to the knowledge of provision for girls whom schools find extremely challenging." The Partnership, which is part-funded by government through the Economic and Social Research Council, will last for two years. The KTP associate who will undertake the project will become a part of the Centre and will be responsible for delivering the outcomes of the project. The partners will seek to understand the reasons why the Centre’s ethos and approach to learning seems to work and then design, test and implement an enhanced curriculum for girls with complex needs. It is hoped that this pioneering work will form a model framework which can be transferred into the wider educational community and help Serendipity become a Centre of Excellence. Melanie Nind is Professor in Education at the University of Southampton. 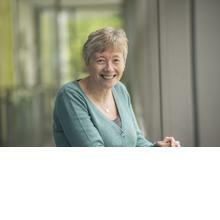 She is also Director of the Centre for Research in Inclusion in the Southampton Education School. Melanie is one of the co-directors of the ESRC National Centre for Research Methods where she leads research on the pedagogy of research methods learning. She is co-editor of the International Journal of Research and Method in Education and on the international advisory or editorial boards for the British Journal of Learning Disabilities, European Journal of Special Needs Education and Disability and Society. Her recent research projects have focused on pedagogy and innovation in research methods and on quality in inclusive research. KTP is a UK-wide programme funded by Government organisations led by the Technology Strategy Board (TSB). Each KTP is part-funded by Government (in this instance ESRC) with the balance of costs coming from the company partner. KTPs have been running for over 30 years and help industry access the knowledge base of universities across the country; allowing organisations who wish to innovate, expand or improve their performance to tap into resources and expertise from universities in order to address a specific business need.